DINER FOR SALE.... Well established, active and priced to sell, business, equipment and property all for one price. 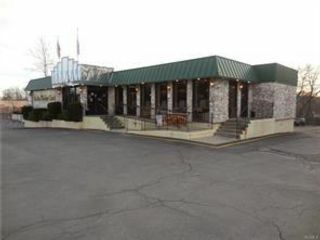 Super location with plenty of parking 40-50 cars. This successful eatery with same owner for over 30 years is ready for a new owner. At the busiest section of the town, on this major artery within walking distance to large retail shopping plazas of the town. Close to banks and national tenants make this location one of the best spots of the area. On almost one acre level lot with double access to Rt 32 (Windsor Hwy) w/ all municipal services and natural gas. 3820` sq. ft. 180 seating capacity and fully equipped diner w/ own bakery and full 9` ceilings basement for extra storage. Landmark location w/ high visibility and high traffic location surrounded by commercial buildings, retail, offices, movie theaters, schools, town government facilities and residential complexes w/ co-ops, condos, townhouses and single family residences. Only 15 minutes from W. Point, I-87 & I-84.